Currently, not only do I notice a change in the weather but apparently my skin and hair has started behaving peculiarly too. I have straight thin hair, and abundance of hair fall and zero volume is what troubles me the most. I’m sure it pricks your heart as well when you precious tresses hit the floor or end up in the drain. Recently, I switched to one of the newly launched sulphate-free shampoos from the trusted brand of Satthwa. If you haven’t heard about this brand before, you’re missing out on some amazing range of hair care products. 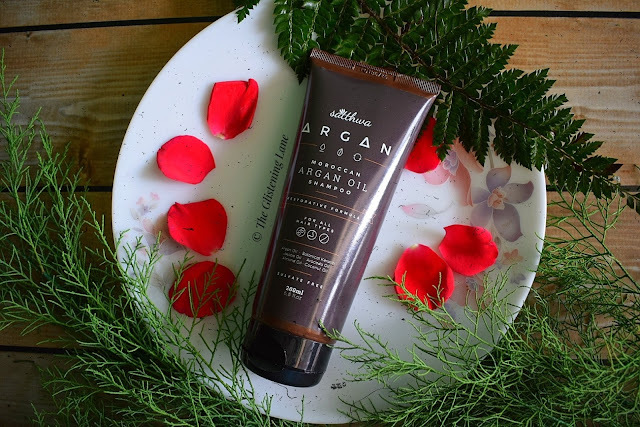 I’ve reviewed their Premium Hair Oil and Lemon-Grass Essential Oil before and today I shall be posting about Satthwa Moroccan Argan Oil Shampoo. Rinse hair thoroughly, massage shampoo into your scalp. Lather and leave it on your hair and scalp for a few minutes and then rinse again. For best results, use Satthwa Premium Hair Oil prior to shampoo. Buy Online: You can purchase this product from e-portals like Amazon and Flipkart. 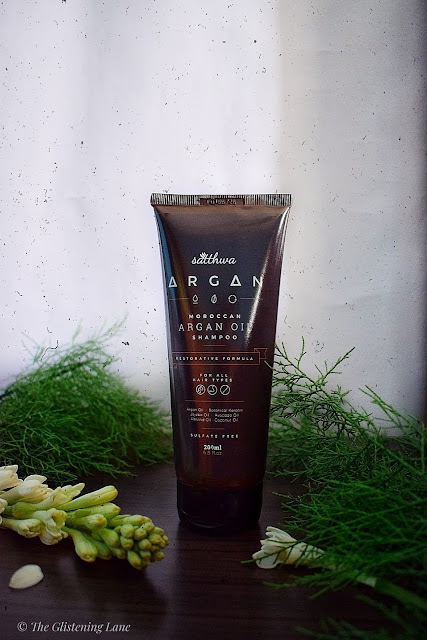 Why Should I Pick Satthwa Argan Oil Shampoo & None Other? Apparently, the brand took 6 months to research about this shampoo as they wanted this to be the best shampoo launched in the Indian market. 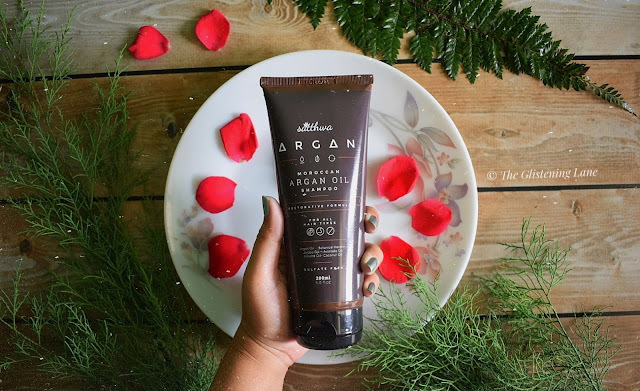 What makes this shampoo special is the fact that they have added Argan oil, Jojoba oil, Avocado oil, Almond oil, Coconut oil and Botanical Keratin in it. Together, all these oils help in nourishing the scalp and hair. It also contains neem extracts, which is known for reducing dandruff. 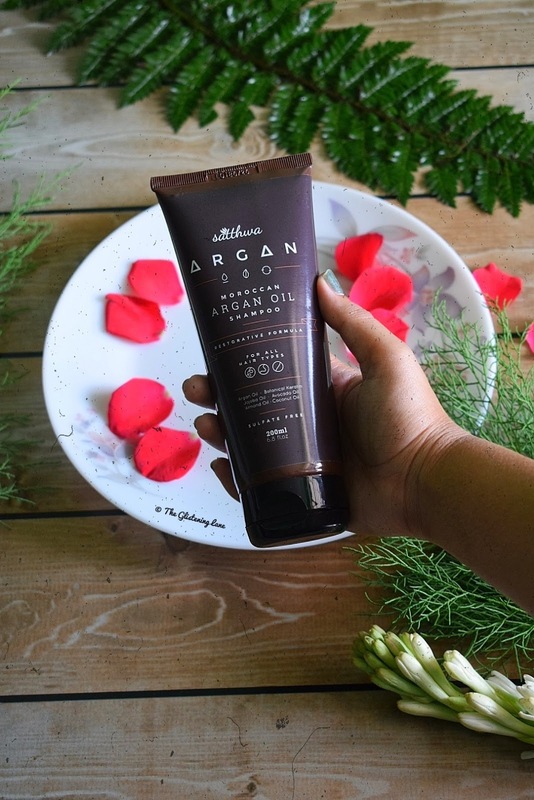 The brand also wanted to make this shampoo SLS / Paraben free so that it does not irritate the skin or cause damage to scalp and hair in the longer run. Made for all hair types! Recommended for both men and women. Sulfate / Alcohol Free! 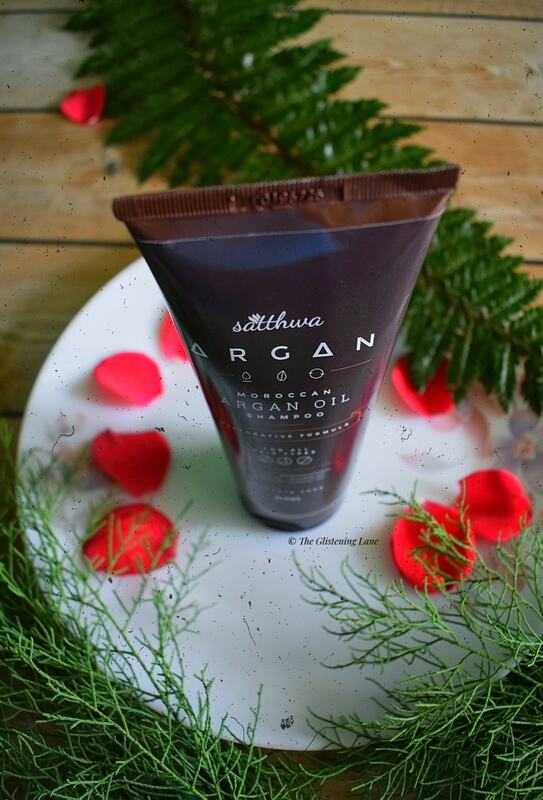 Satthwa argan oil shampoo comes in dark brown tube packaging with a flip-open lid. I’ve mostly seen this sort of packaging format only for conditioners but I must say it’s quite travel friendly and there’s no hassle of product remnants collecting near the opening of the packaging. Moreover, all the product details are clearly stated onto the tube of the shampoo. The shampoo has a very distinct sweet fragrance and its consistency is more towards a thicker side. Nonetheless, it spreads easily onto each hair strand and not a lot of the product is required. Also, the colour of the shampoo is pearly white and not completely opaque white. It took me around three weeks of trial before I decided to review this shampoo so you can take my word for it if I say it's AMAZING. First and foremost, the complete ingredient list has been stated onto the packaging which makes sure that transparency is maintained between customers and the brand. 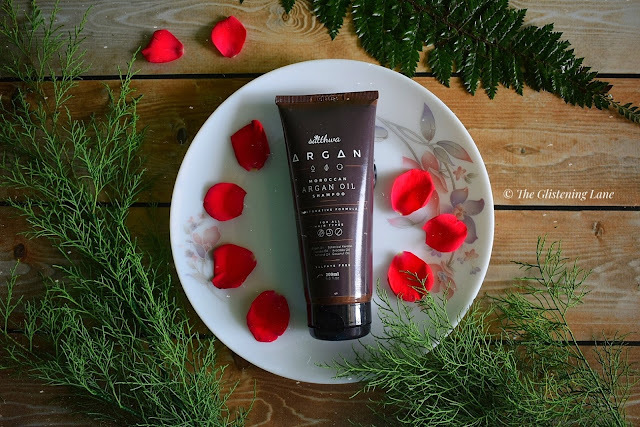 With one of the rising trends of adapting to parabens and sulphate free shampoos, this shampoo comes as a rescue to us as several drugstore shampoos are loaded with harmful chemicals but unfortunately their inexpensive price point and half told ingredient list as well as brand marketing lures us for stocking them in abundance. Satthwa shampoo does not foam heavily, yet, it washes away the scalp dirt and grime without making the hair frizzy as it is loaded with several natural oils. Argan oil is regarded as light-weight oil; therefore, this shampoo does not weigh down your tresses at all! Since I have straight and thin hair, it remains one of my prior concerns whenever I switch my shampoo. Usually, during this time of the year, I tend to encounter heavy hair-fall. Thankfully, that is not the case this time. 👉Expensive on account of being a premium shampoo. So stay subscribed and follow me! Things Bloggers Are Tired of Hearing! Review: Jeju Volcanic Lava Self-Heating Clay Mask! I was literally waiting for your thoughts on this!! Now I think my hair too will love this shampoo.. Price is not a concern as long as it does what it claims. 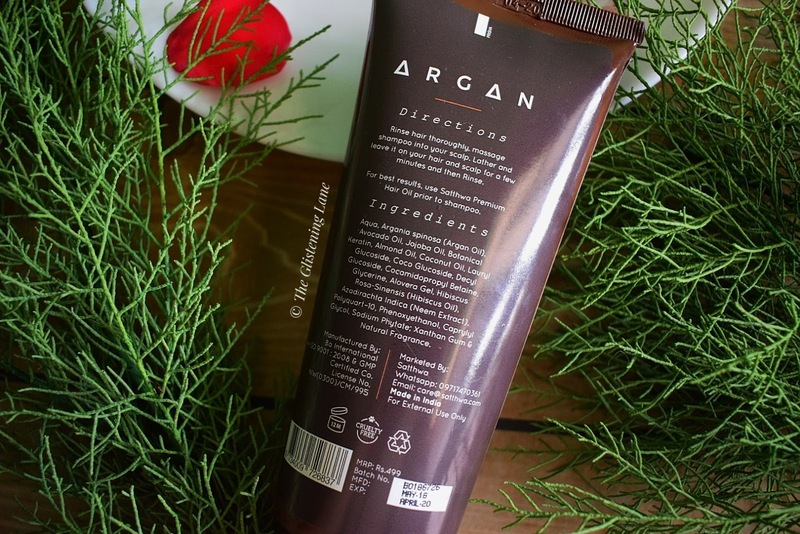 I was thinking of buying this shampoo and your review came just then :) I love the fact that they have included some unique ingredients like botanical keratin, etc.